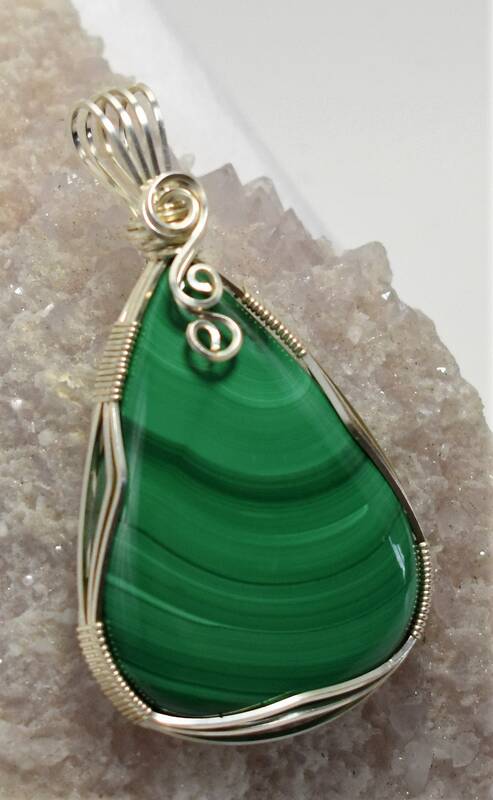 This cabochon is very vivid and eye catching! 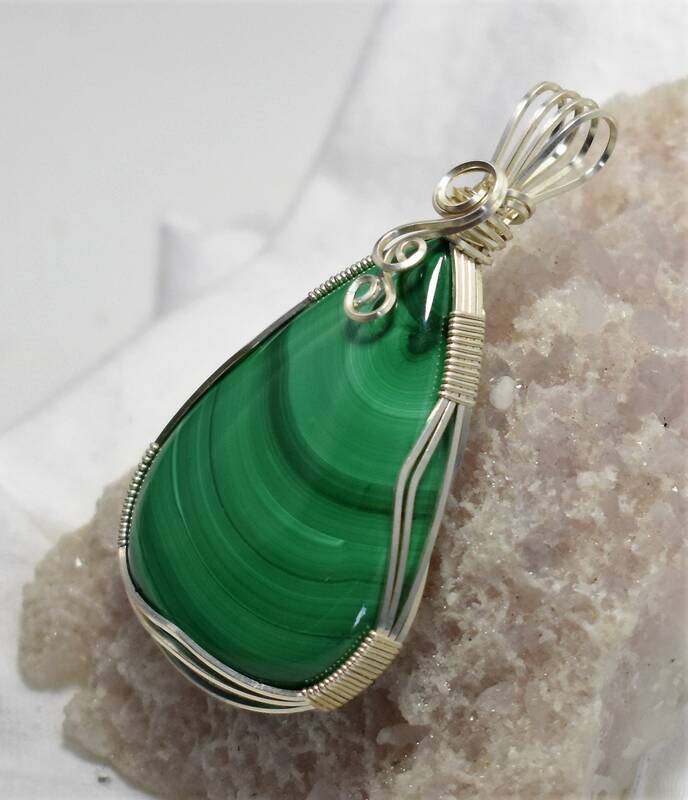 I love the dark green band centered in the lighter bands of green. 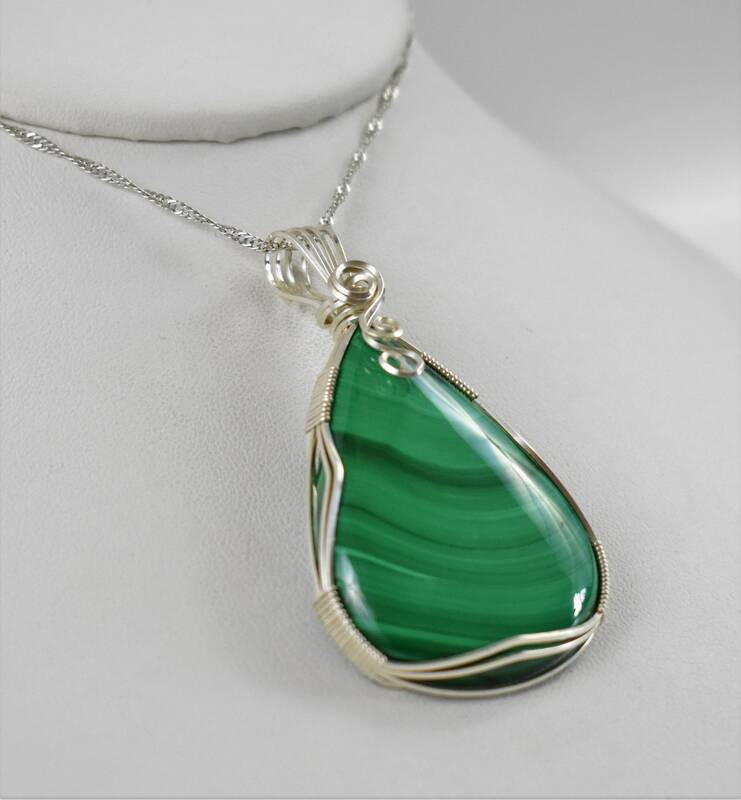 I wrapped it in .925 Sterling Silver and paired it with a Silver chain. 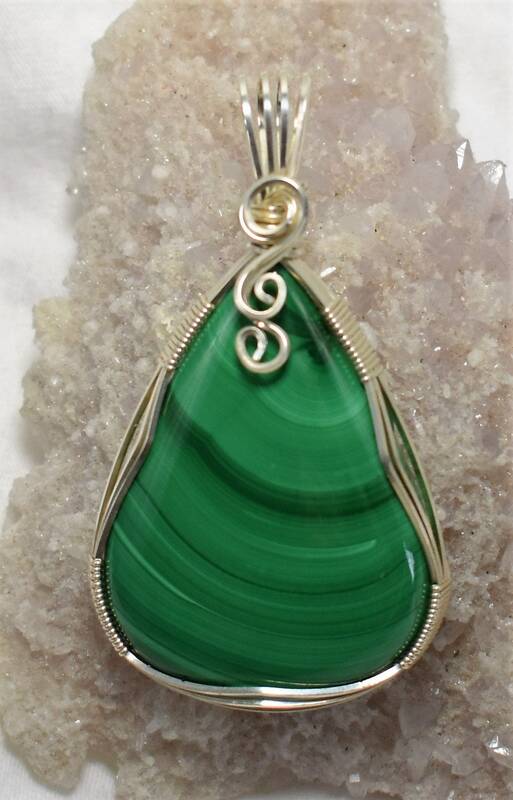 Malachite is a protection stone, absorbing negative energies and pollutants from the atmosphere and from the body. It guards against radiation of all kinds, clears electromagnetic pollution and heals earth energies. 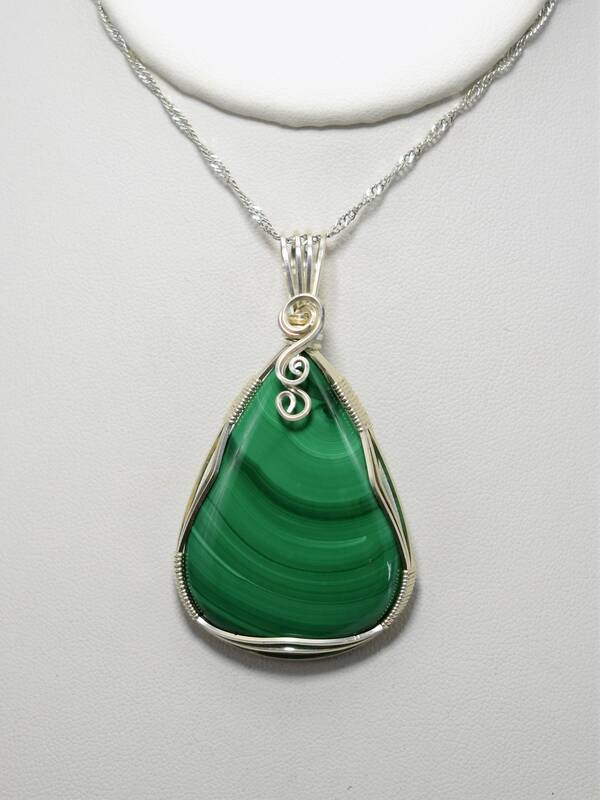 In the workplace Malachite protects against noise, over-bright fluorescent lighting, and harmful rays from technological equipment, negative phone calls and emails. 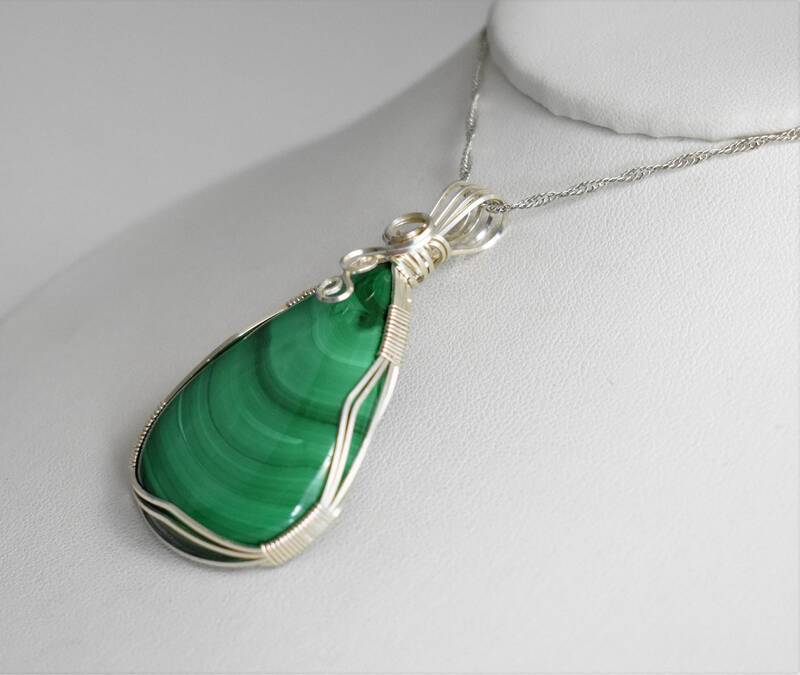 It is also a stone of travel, helping to overcome fears of flying and It also helps with jet lag, encourages smooth business travel, and protects travel on congested highways.